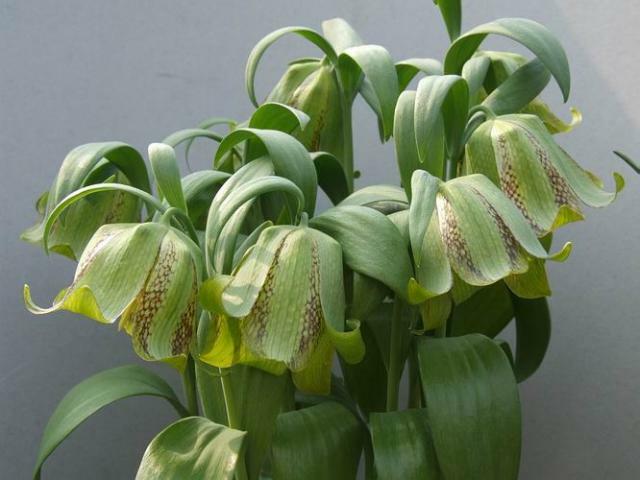 Fritillaria that originate in Asia from D-K are described on this page. For information about other species consult the links below. 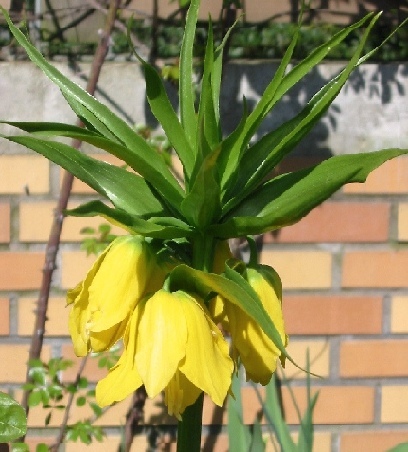 Fritillaria davidii is a Chinese species with a solitary yellow flower marked with purple. Photo by John Lonsdale of the leaves. 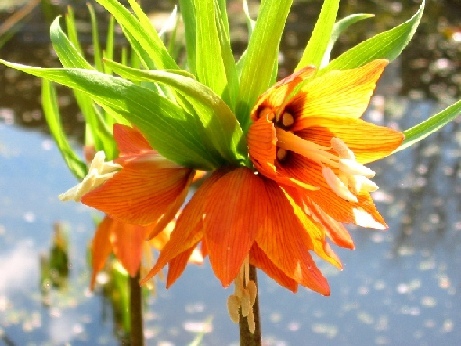 Fritillaria eduardii is closely related to Fritillaria imperialis and comes from Central Asia, east of the range of the latter. 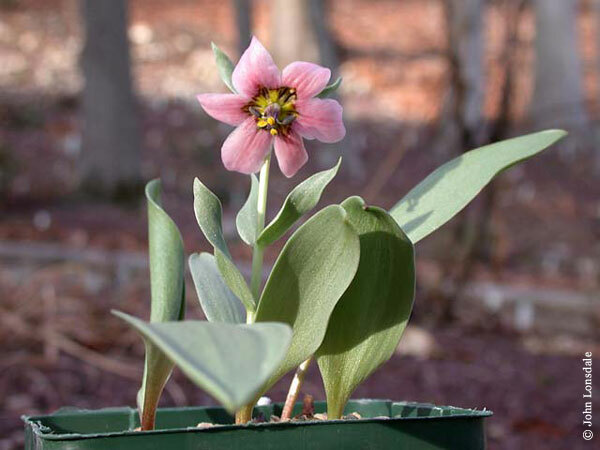 The illustrated plant in the first photo from Jane McGary was grown from seed collected by Josef Halda in the early 1990s and is kept in a bulb frame, dry in summer. 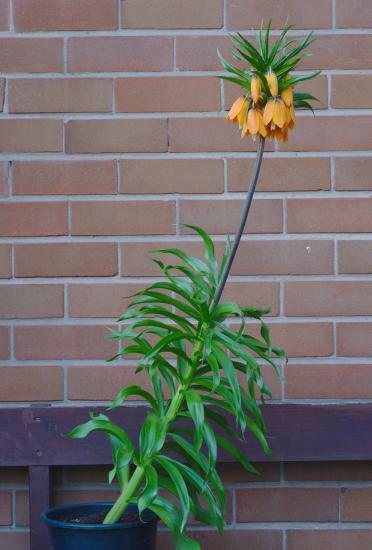 This "miniature Crown Imperial" grows only about 40 cm tall (it elongates a bit after flowering in late winter) and is scentless, unlike the big Crown Imperial which has a foul odor. Photo 2-3 from Paige Woodward. 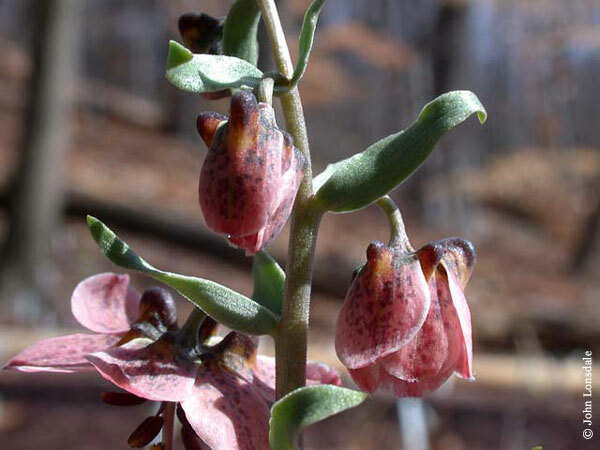 Photos below from John Lonsdale. 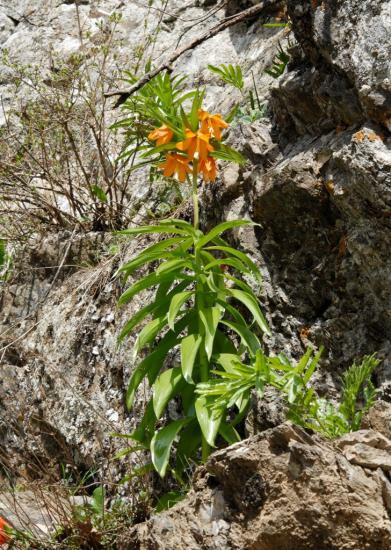 Photo in its habitat in Tajikistan taken by Oron Peri. 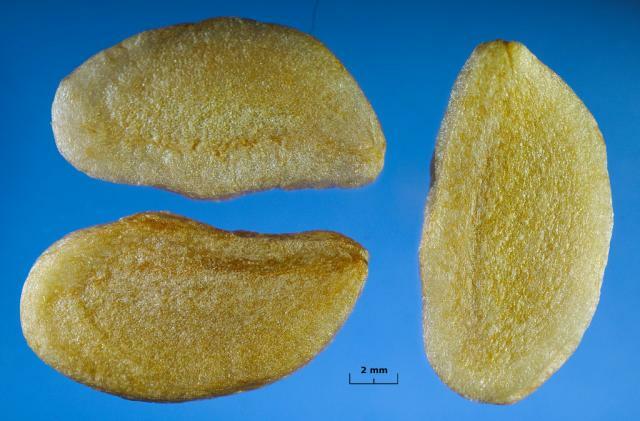 Photo of seed by David Pilling, the first one was taken with reflected light, the remainder of the same seeds were taken using transmitted light, in the first of these embryos are barely visible, see Fritillaria Germination. 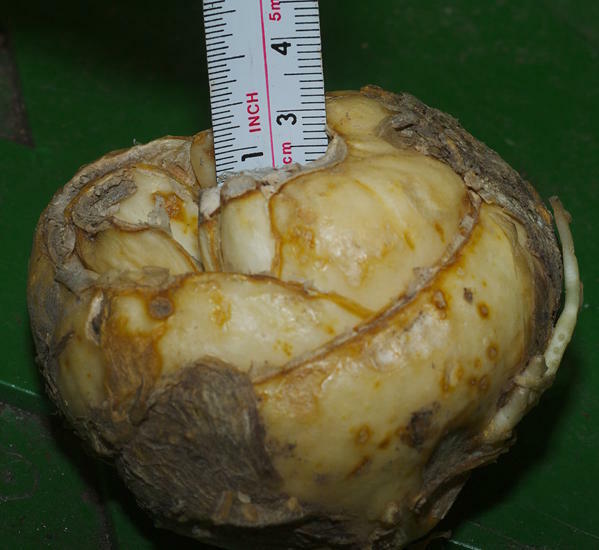 The next photo taken 41 days later after the seeds had been exposed to cold (32-40 °F) and wet shows the embryos have developed. 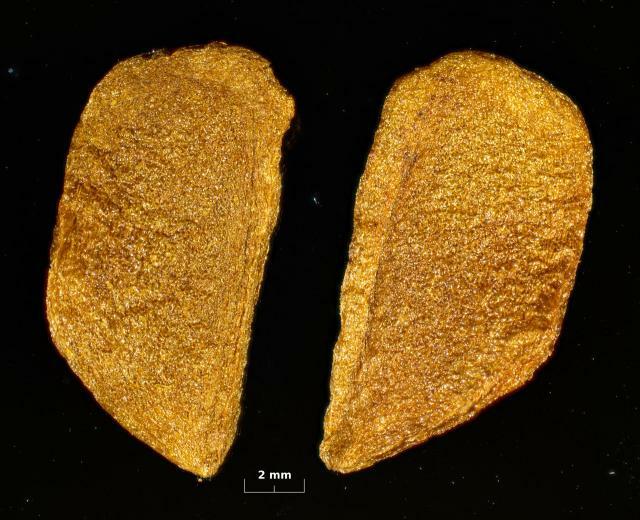 These seeds are thick and the results are not easy to see. 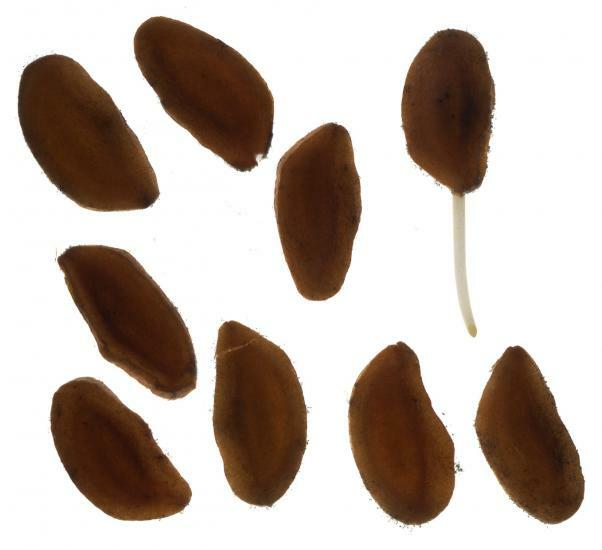 The final photo shows one of the seeds germinating 87 days after they were sown. 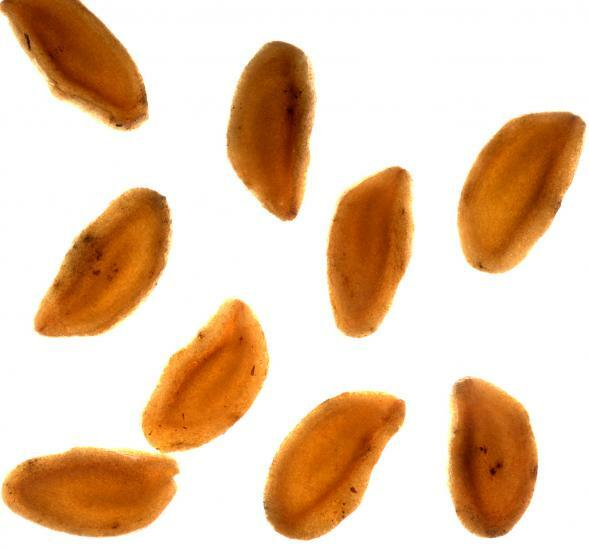 Most seeds did not germinate until 2014. 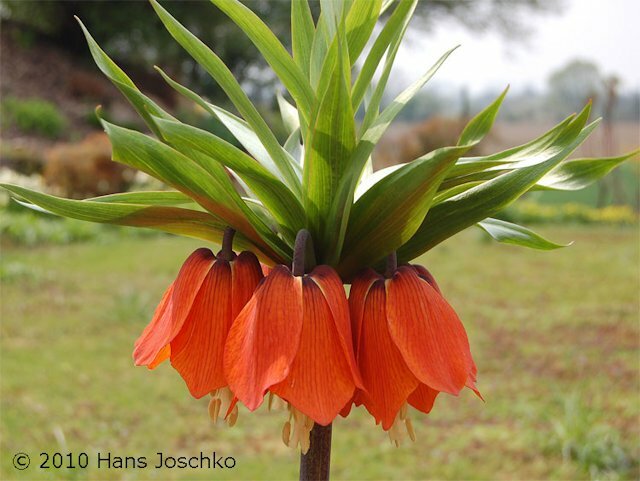 Fritillaria gibbosa is the most widespread species of the Rhinopetalum group. 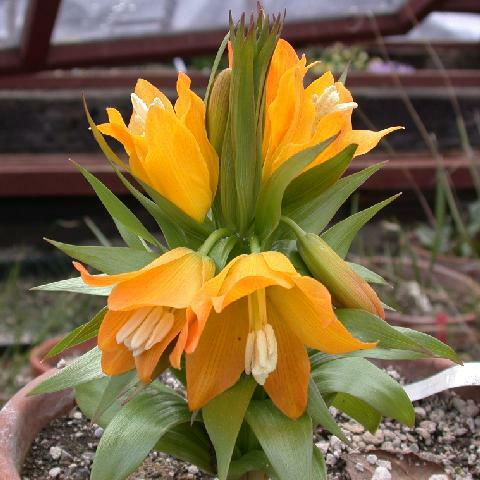 It is best grown in an Alpine house or a bulb frame, but still is difficult. 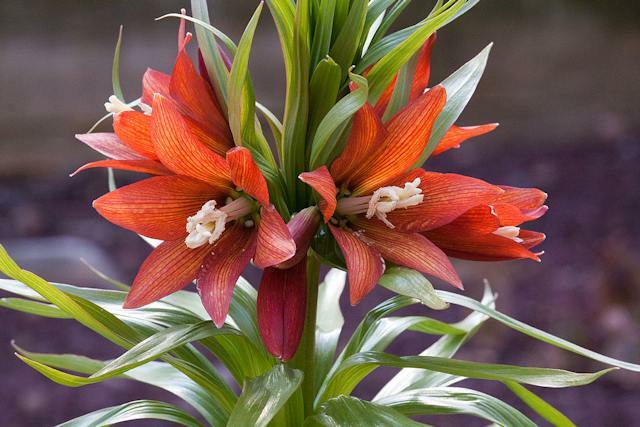 It is native to Iran and Afghanistan where it grows in open stony or sandy places hot in summer. 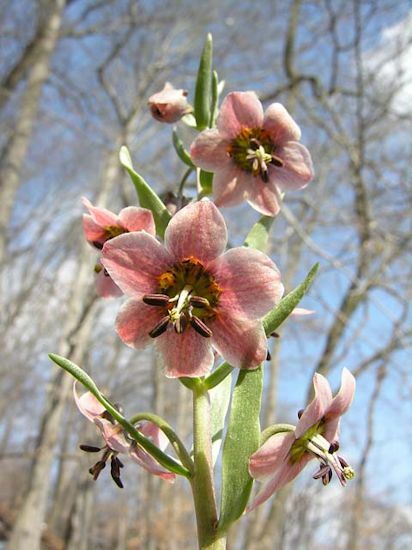 Flower color ranges from pink to red or apricot with a darker tessellated pattern. 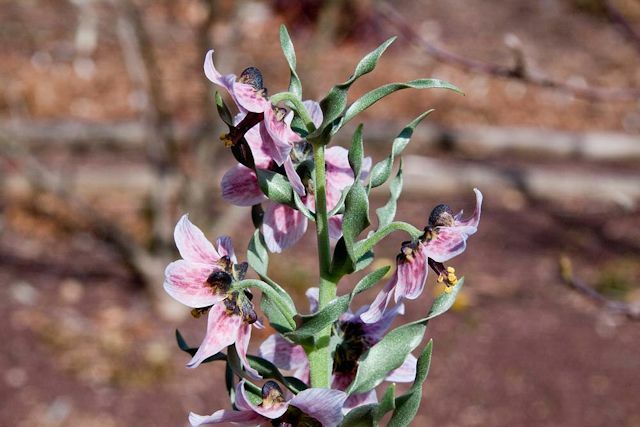 It has deep red nectaries. Photos by John Lonsdale. 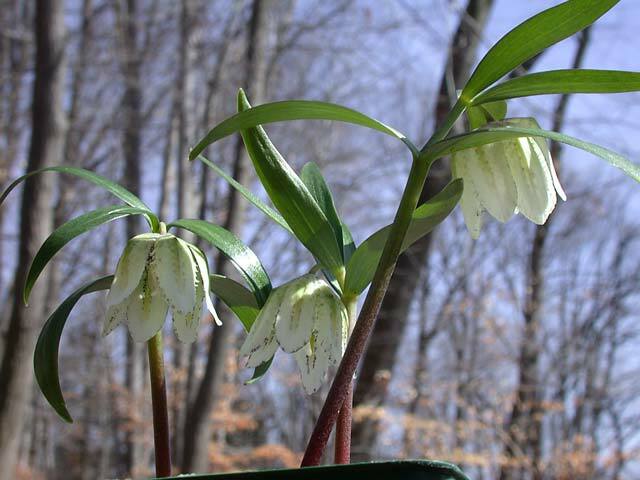 Fritillaria hermonis ssp. 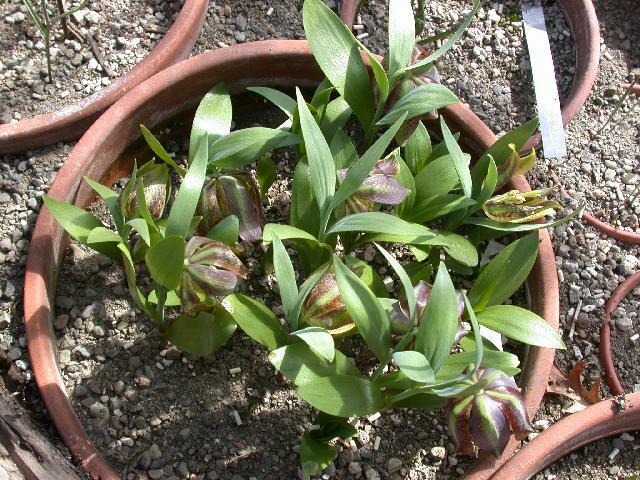 amana is a vigorous plant that increases freely by small bulbils. 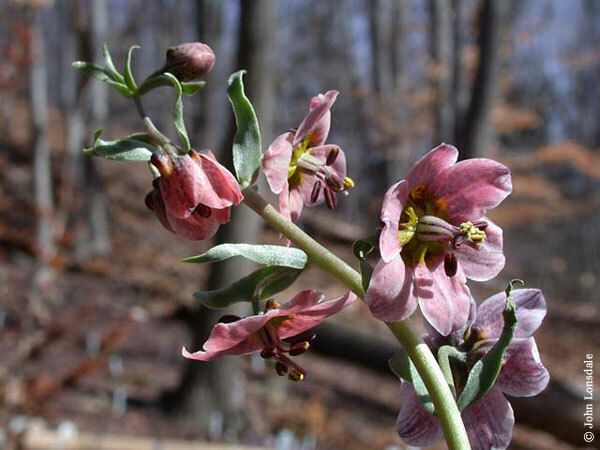 It has grey green leaves and reddish brown bell-like flowers with a central green stripe running the length of the petal. 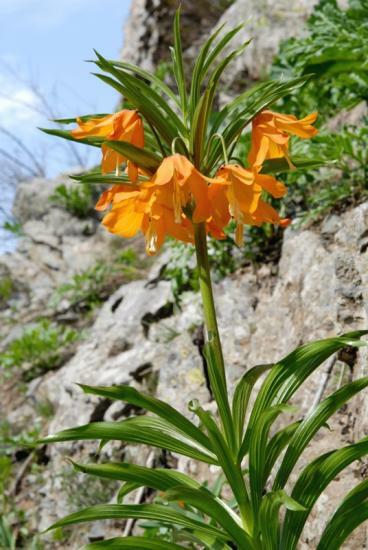 It is native to Turkey, Syria, and Lebanon. Photo by Arnold Trachtenberg. 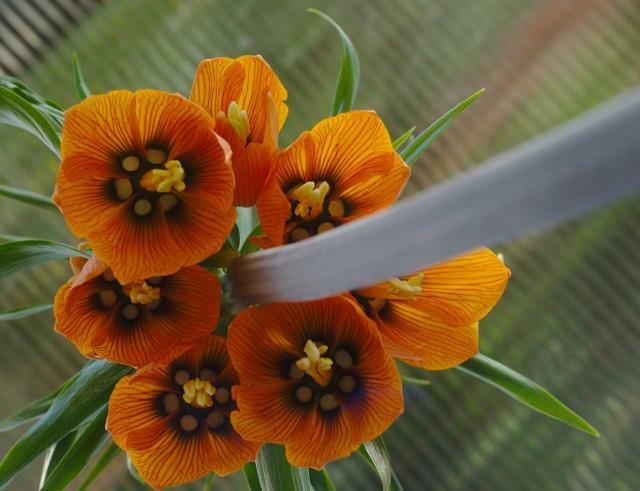 Fritillaria imperialis is a garden favourite that has proven difficult for many. 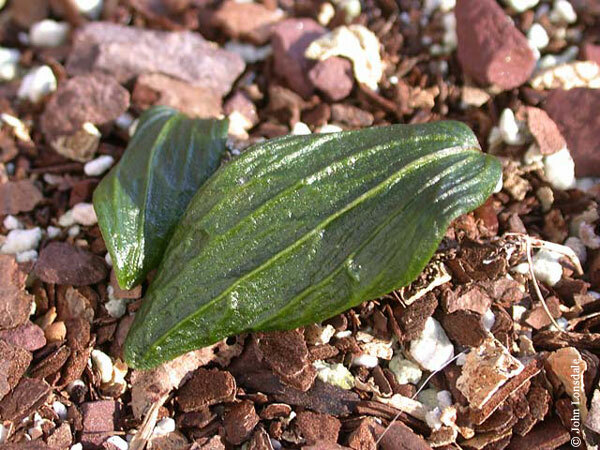 It seems to like full sun and moist, well drained substrate, but I, also, have it growing in rather heavy soil near my pond. Drying a bit in the Summer seems to assist blooming (pers. 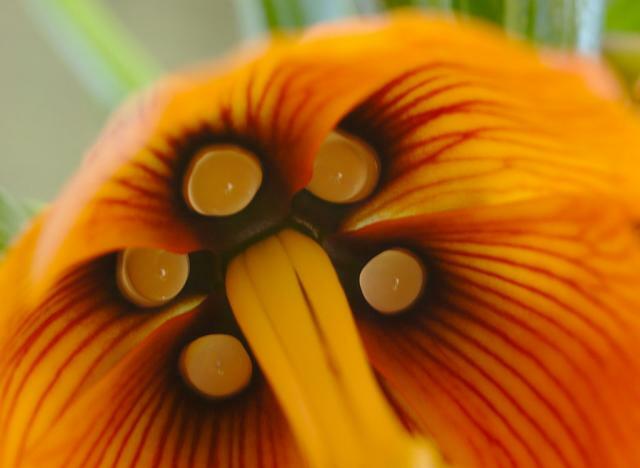 observation) Photo 1 of the cultivar Fritillaria imperialis 'Aurora' and text by Jamie Vande. Photo 2 from Hans Joschko. 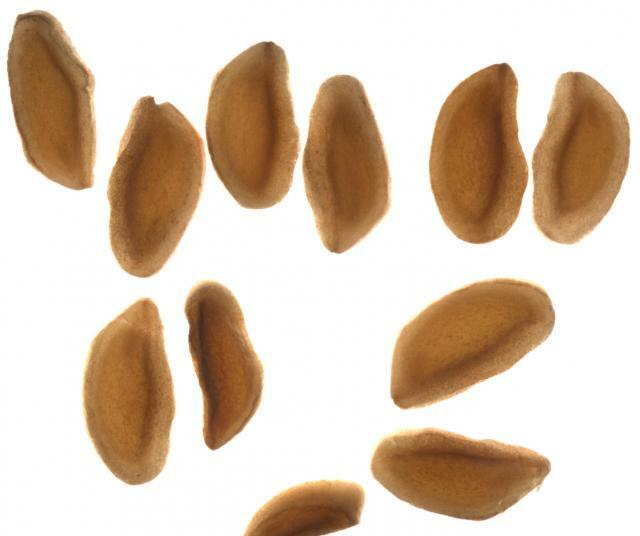 Photo 3 of seed by David Pilling. 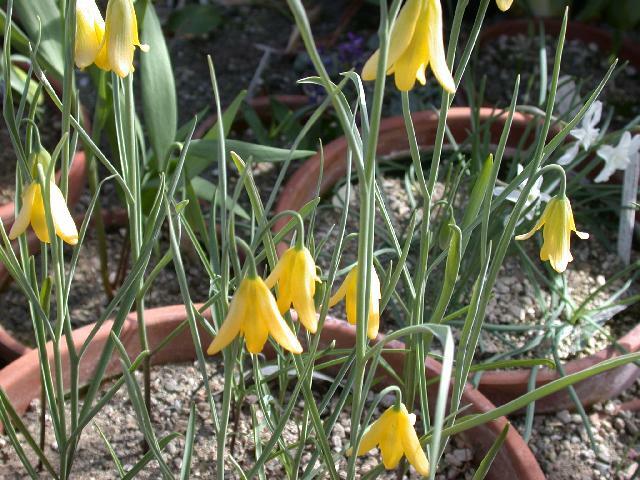 The tetraploid Fritillaria imperialis 'Lutea Maxima' looks very similar to diploid 'Lutea', unlike 'Rubra Maxima', which is much larger than 'Rubra'. Photo 1 by Jamie Vande. 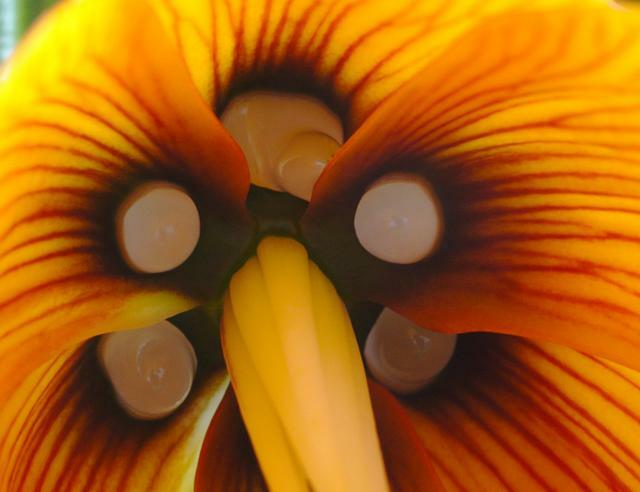 Photo 2 showing nectar droplets by David Pilling. 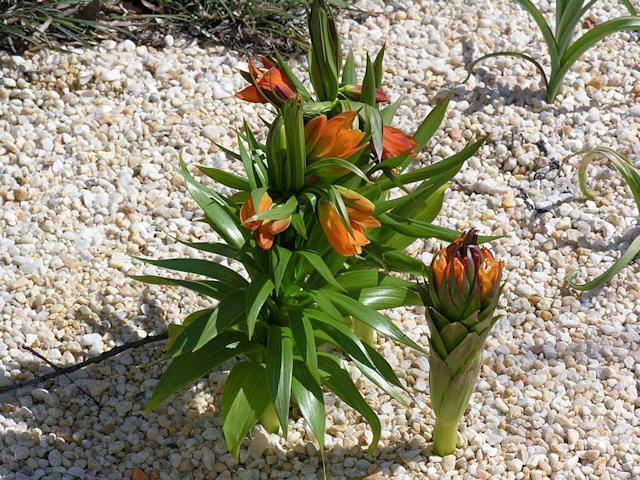 Fritillaria imperialis 'Garland Star', photos by David Pilling. 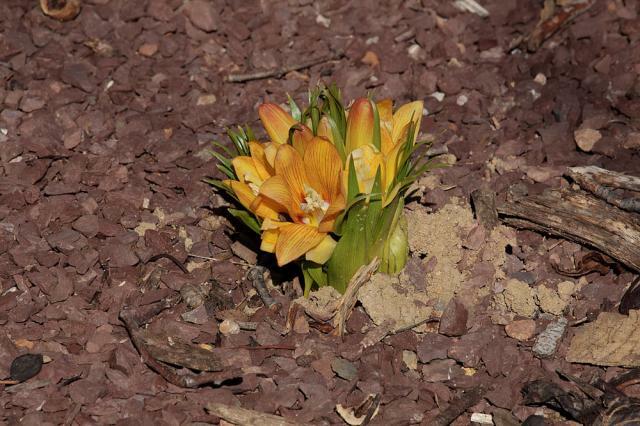 The first shows a shoot breaking the surface in the middle of March. 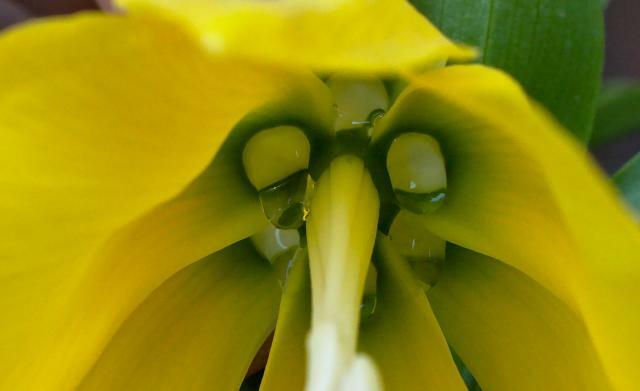 Photos 5 and 6 show droplets of nectar. 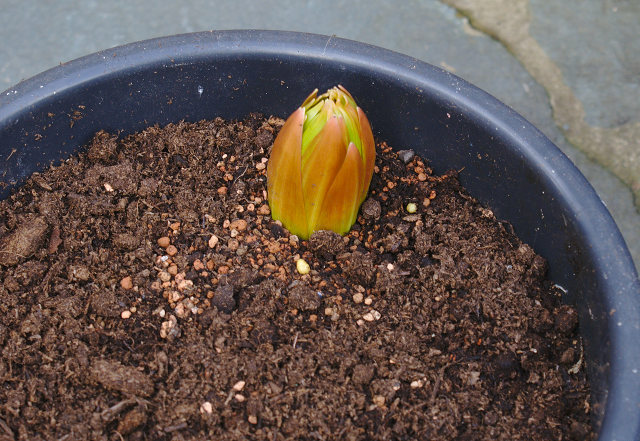 Some people say bulbs should be planted on their side, because of the large hole in them which may accumulate water. Others retort that the hole goes all the way through the bulb and so drains. 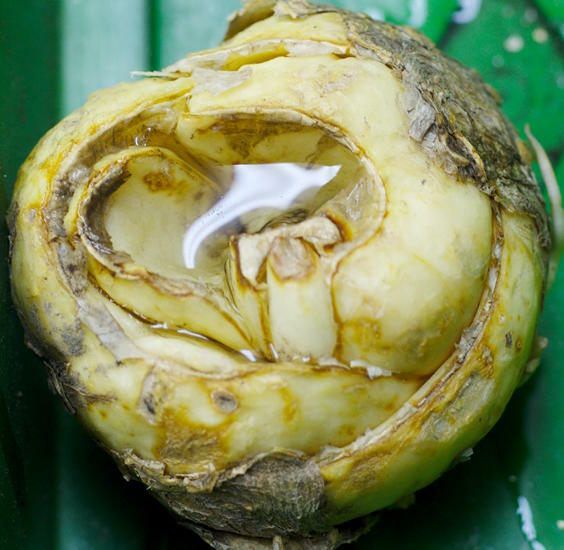 Photos 1-4 are of commercially supplied bulbs of 'Garland Star' and show the hole, the bottom of the bulb and water being retained; the coin is around an inch in diameter. At first sight this disproves the idea of a hole all the way through the bulb. 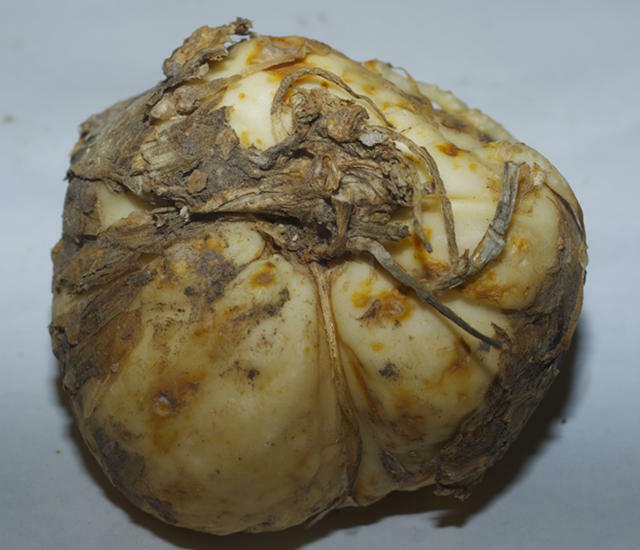 However often bulbs are sold with part of the old stem in place blocking the hole. 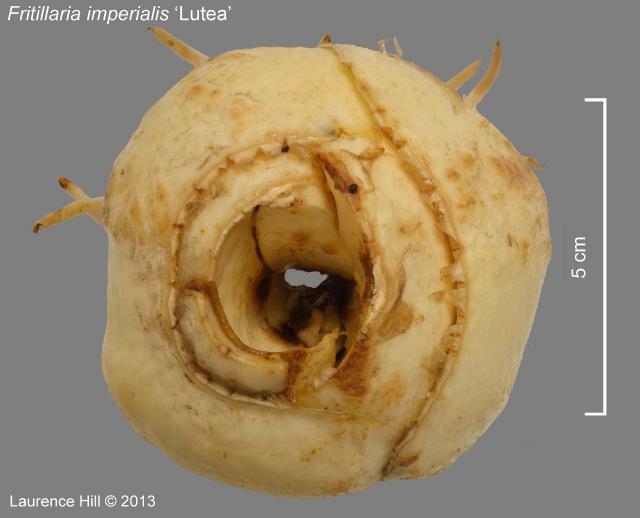 Photo 5 from Laurence Hill shows the hole in a bulb of 'Lutea'. 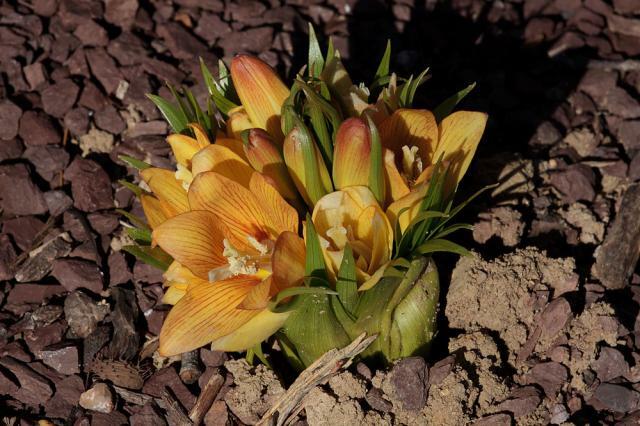 Since Fritillaria bulbs replace themselves every year, their original orientation in the ground will be lost anyway. 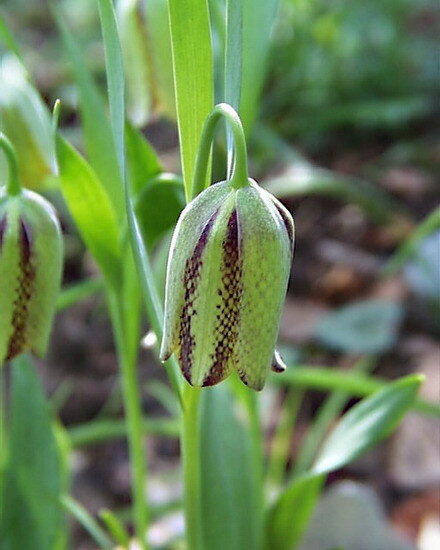 Fritillaria japonica was first described in Europe in 1867 from an illustration in a Japanese book of medicinal plants. 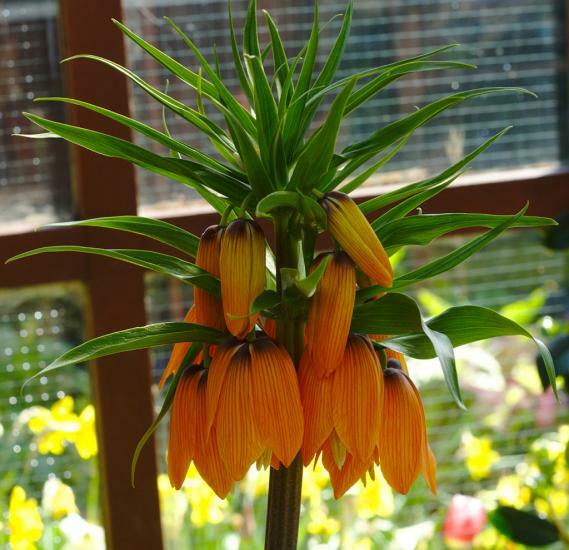 The species is rare in cultivation and for many years Fritillaria koidzumiana was incorrectly considered a variety of Fritillaria japonica. 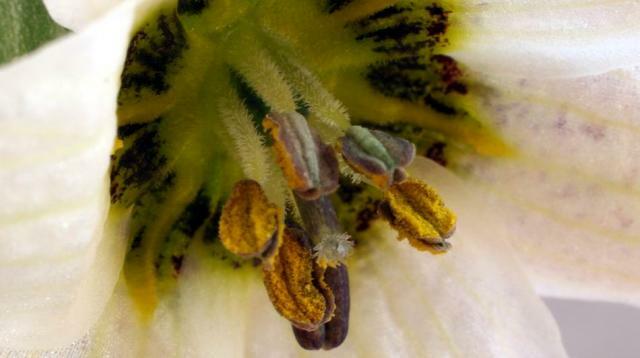 Fritillaria koidzumiana has fimbriate edges mostly to the inner tepals and small papilla along the nectary margins whereas Fritillaria japonica does not. 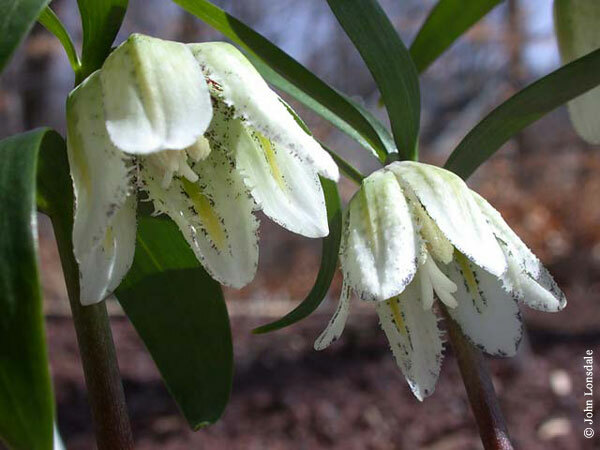 Fritillaria japonica is found in central and southwest Honshu and borders Fritillaria koidzumiana to the east of its range. Photographs by Laurence Hill taken in Japan; the first Honshu, Okayama Pref. 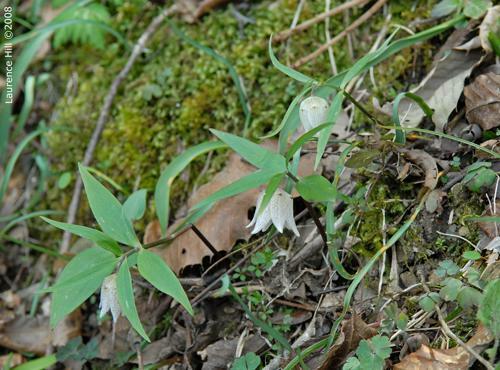 near Mimasaka, 25 March 2010, below chestnut (which are not yet in leaf), 179 m; the second Honshu, Okayama Prefecture, Akaiwa-shi, 52 m, 5 April 2008, below deciduous trees in thin scrub with Anemone nikoensis, Erythronium japonicum and Cymbidium goeringii. 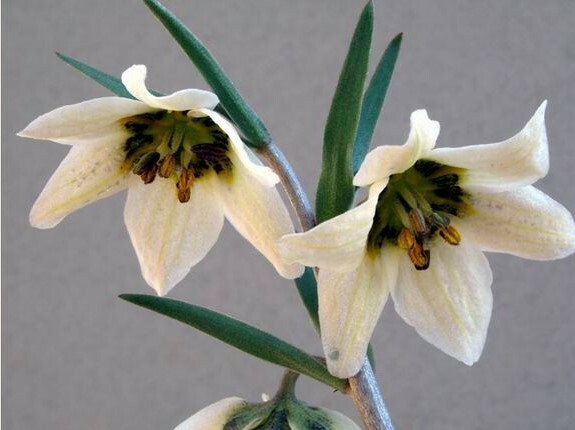 Fritillaria karelinii is from western China and central Afghanistan where it is found in semi-desert areas. 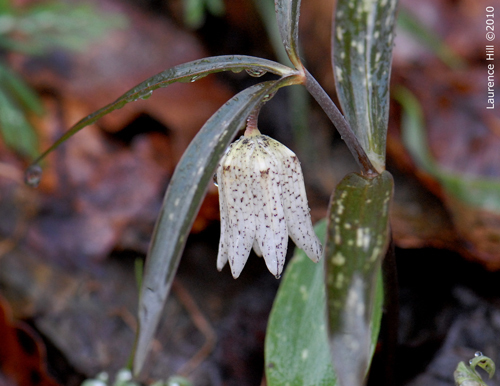 It is similar to Fritillaria gibbosa. 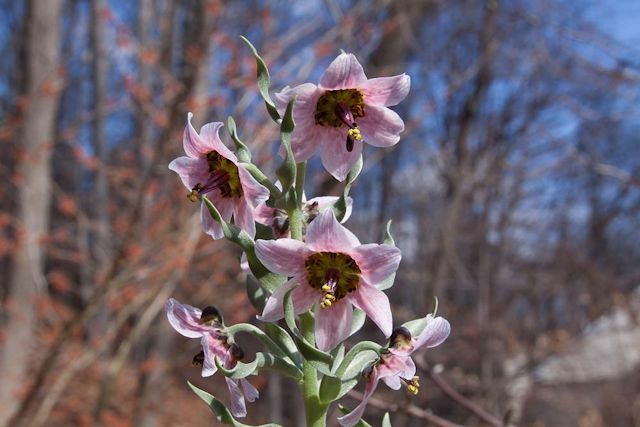 It has solitary flowers of rose pink with deeper spots and veining and a prominent nectary. Photos by Ian Young. 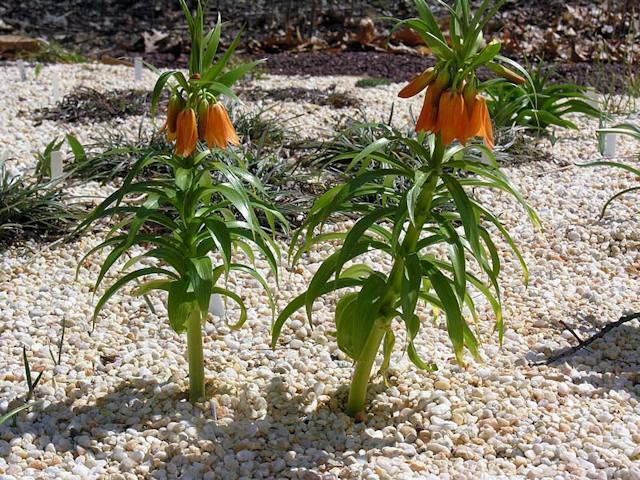 Fritillaria karelinii 'Uzbekistan' photos by John Lonsdale. 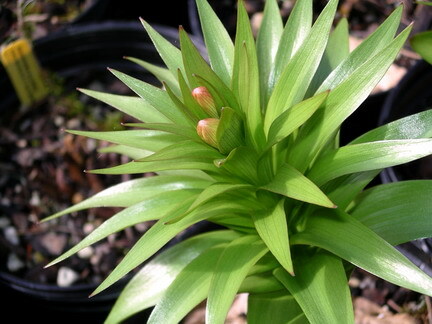 Fritillaria koidzumiana was considered to be Fritillaria japonica var. 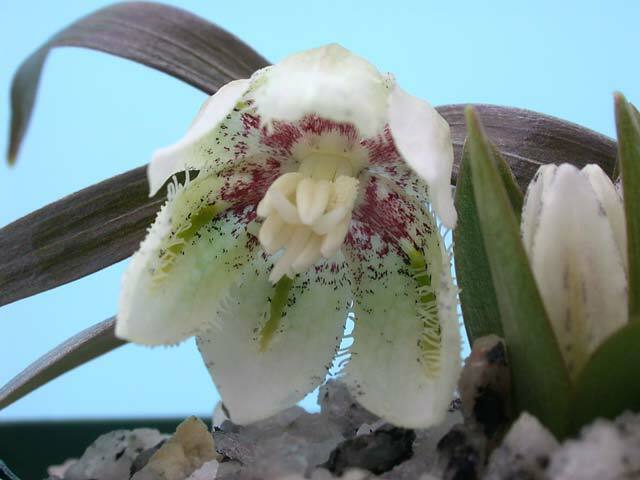 koidzumiana but is now accepted to be a species in its own right (see Fritillaria japonica for a description of the differences). It is rare and likes cool conditions. 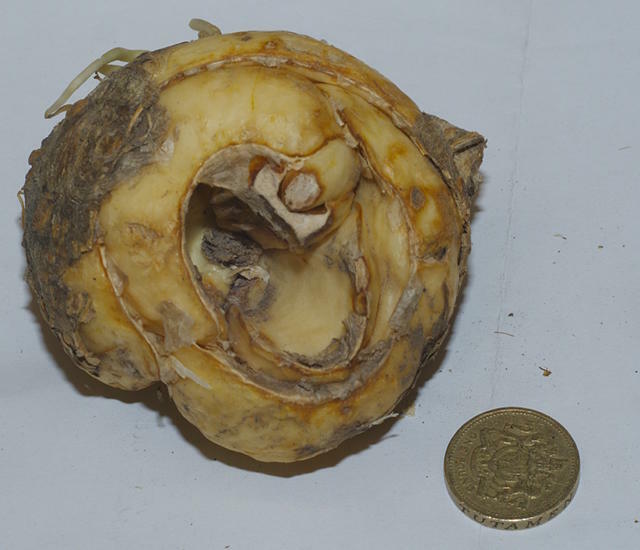 The perianth segments have a hair-like fringe around the margin. Photos 1-3 from John Lonsdale. 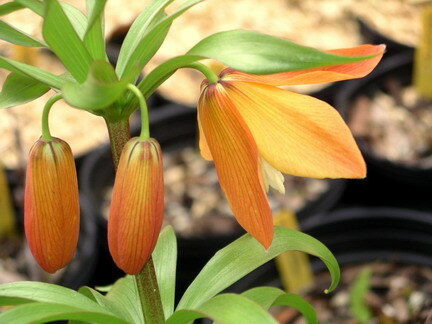 Fritillaria kotschyana 'Craigton Max' is a selection by Ian Young. Photo also by Ian Young.